I started playing guitar and singing at about 12, but I'd been writing poetry since I was much younger. 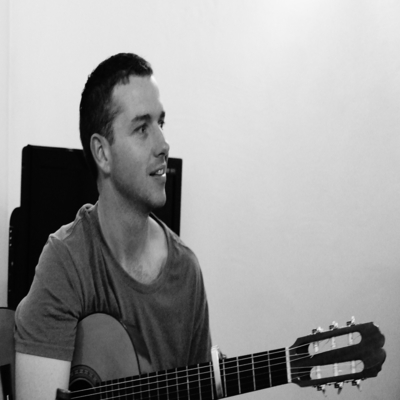 At 18 I started writing my own songs and have now written over 30 -mainly about philosophical and romantic themes. I tend to have inspiration for songs at times of heightened emotion or transition in my life - both good and bad. I'd describe my music as ballad folk-rock, with vocal harmonies and room for orchestral accompaniment. My influences have been mainly bands from the 60s and 70s, for example, Neil young, Elton John, The Doors, Pink Floyd, John Lennon, Cat Stevens and The Moody Blues. Some modern bands, like Coldplay, have also definitely left their mark. I’m honoured to think that my songs have some of their flavour. The music I write has mostly been very personal and private – kind of like my own way to meditate and find strength. Sharing these tracks has opened a door to me, but if I know that people appreciate and enjoy them, then that lets me feel a very special kind of happiness. If you enjoy my music, please show your support! I appreciate it very much. Thank you.